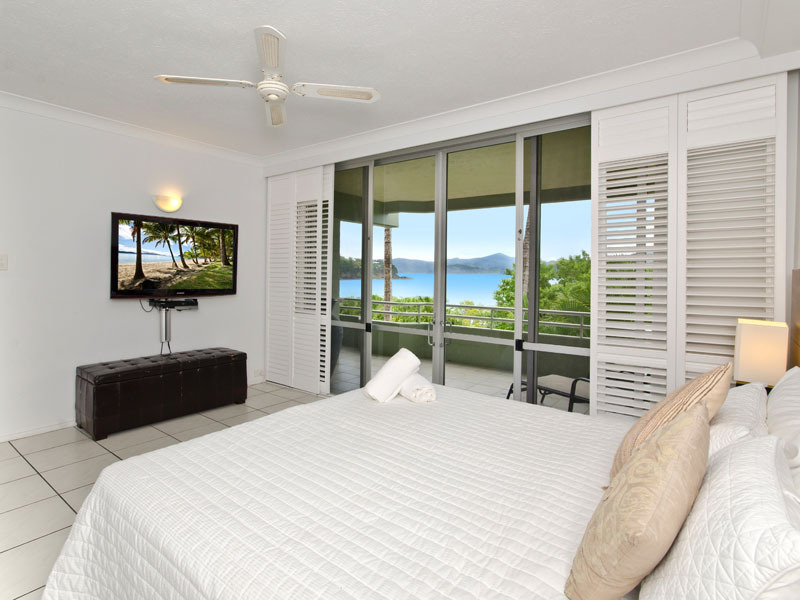 Contemporary apartment on the island's resort side. 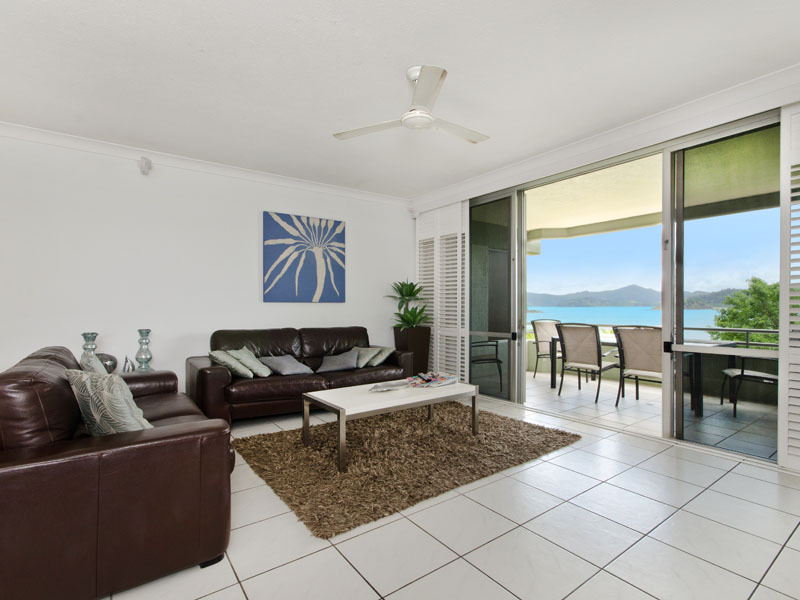 This two bedroom apartment offers spectacular views over Catseye Beach and a great location on the resort side of the island. 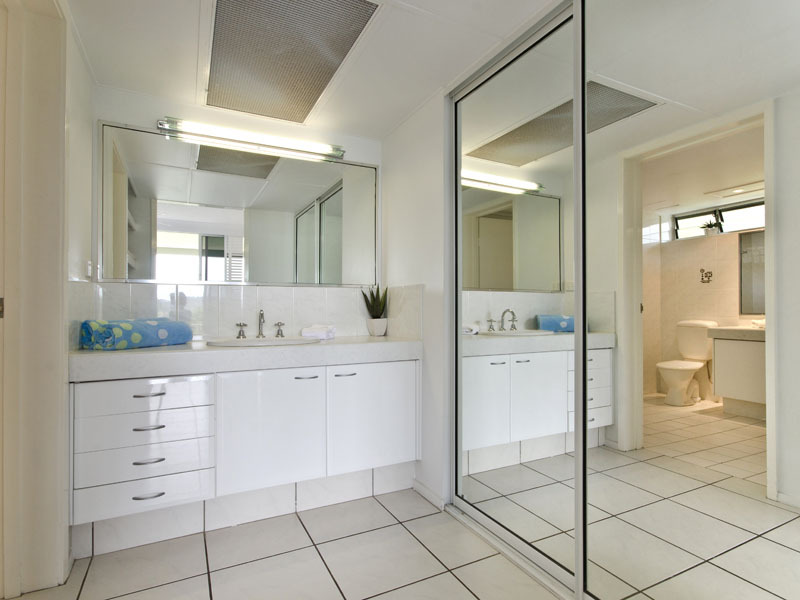 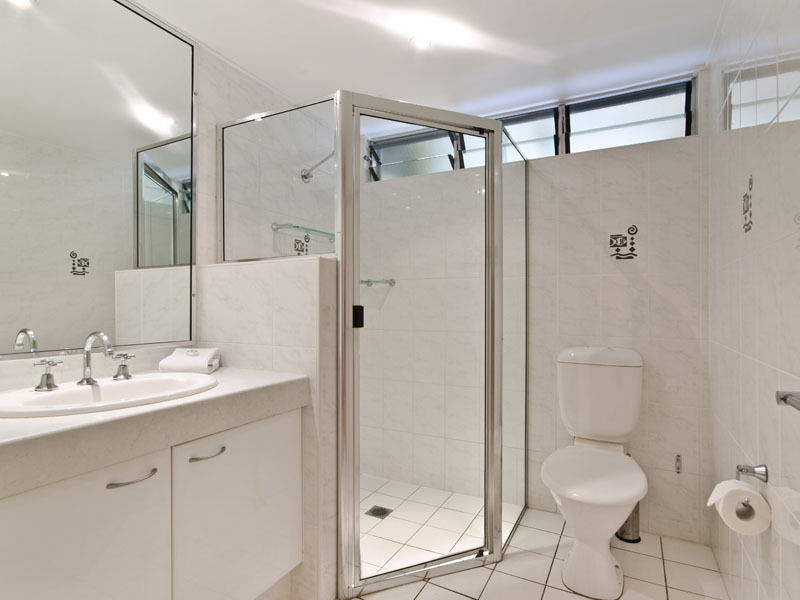 It includes a new, well-equipped kitchen, air-conditioning throughout and contemporary interiors. 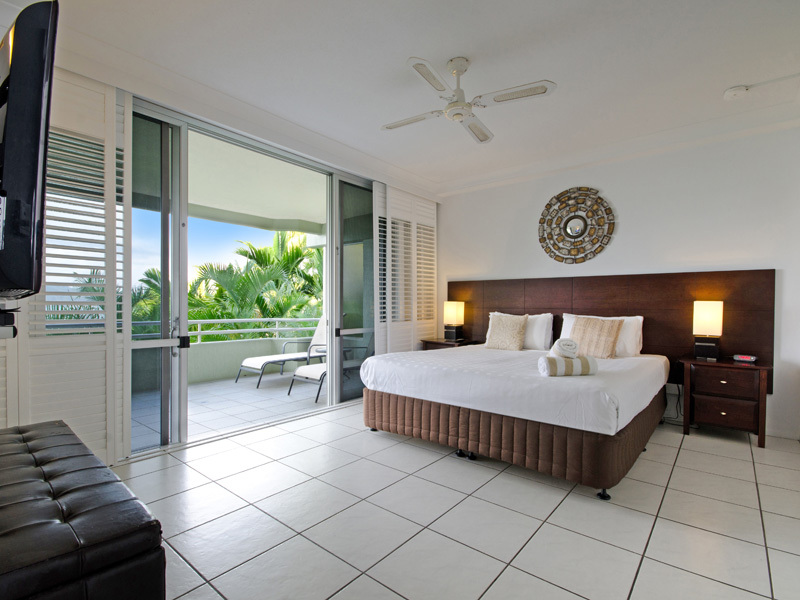 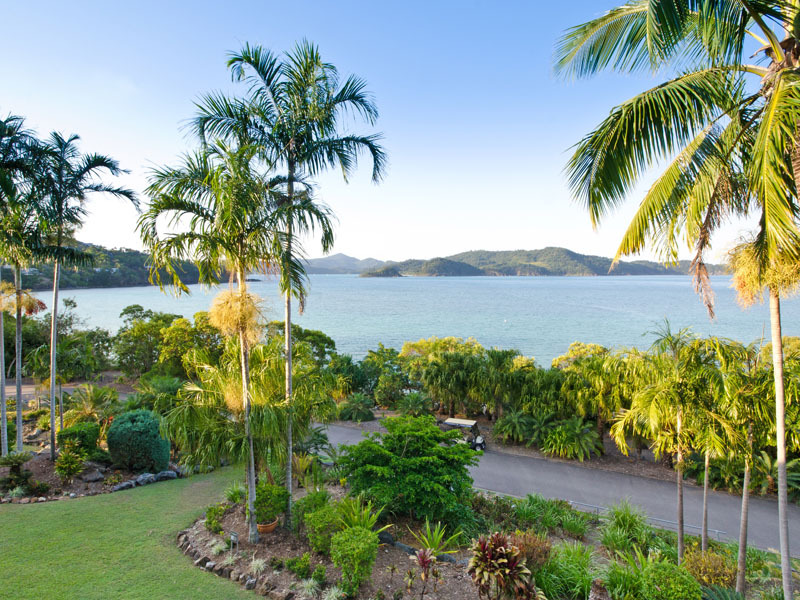 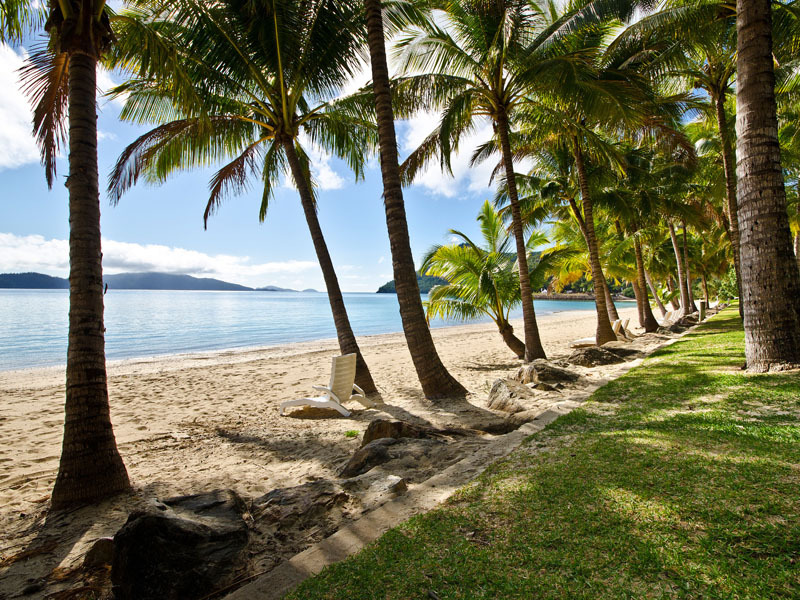 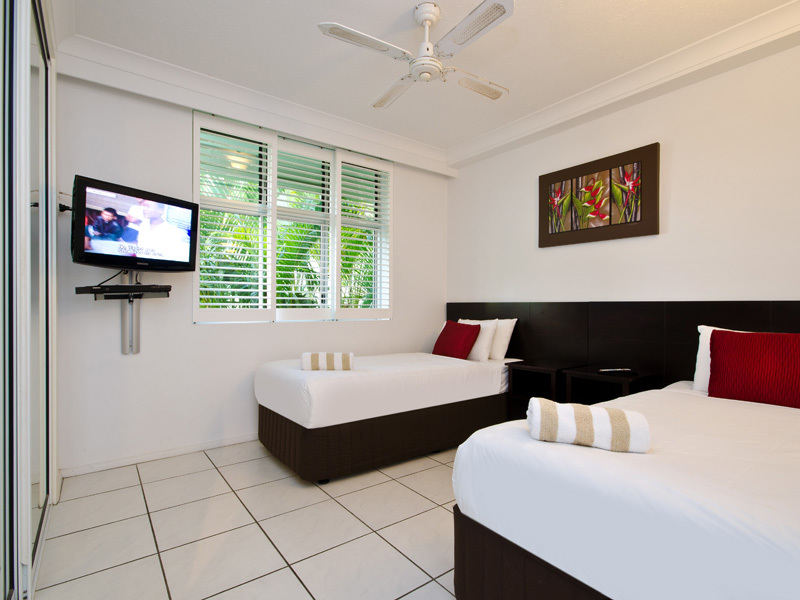 Enjoy lovely views over the landscaped gardens across the Coral Sea. 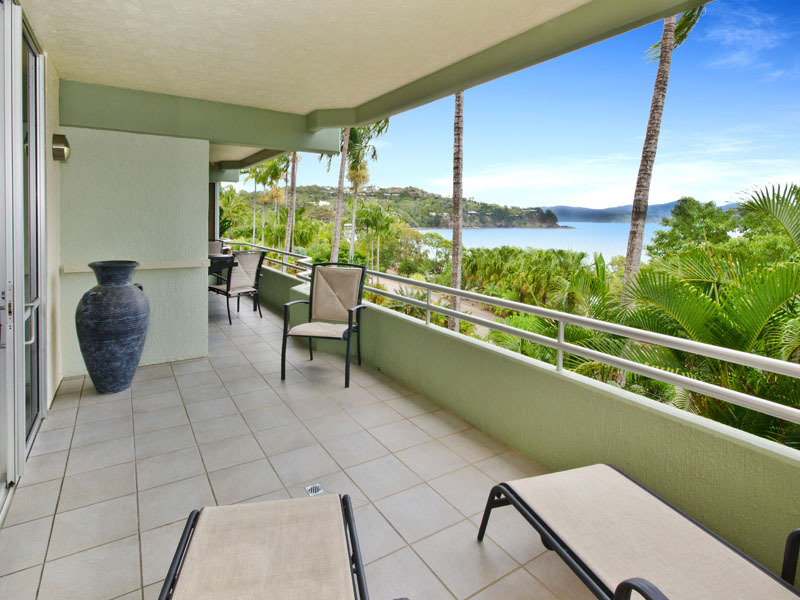 With spacious living areas, a large balcony and two bedrooms, this apartment is ideal for small families. 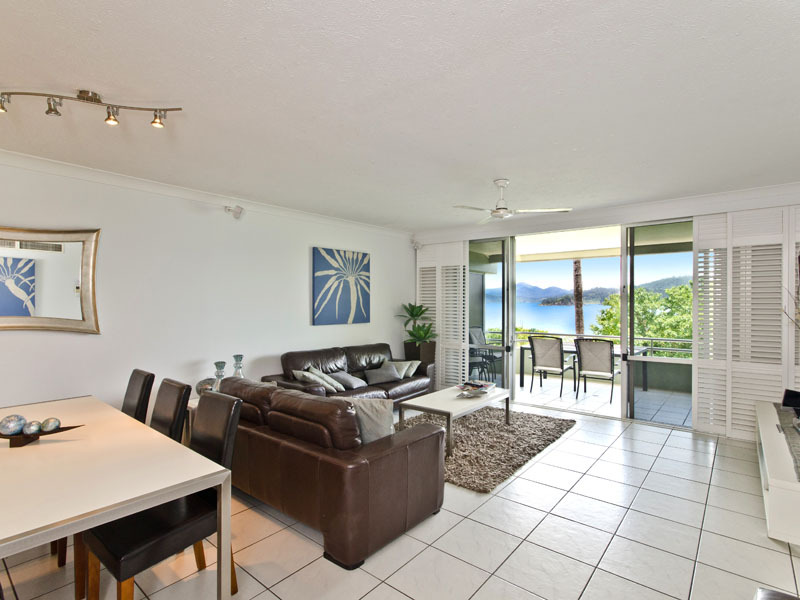 The apartment opens out onto a furnished balcony with seating for six people. 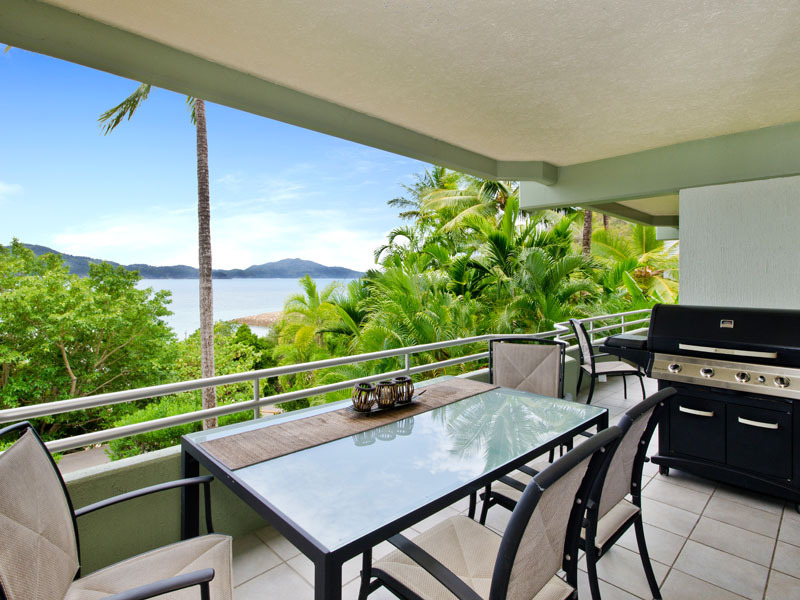 A modern, well-equipped kitchen makes self catering a breeze. 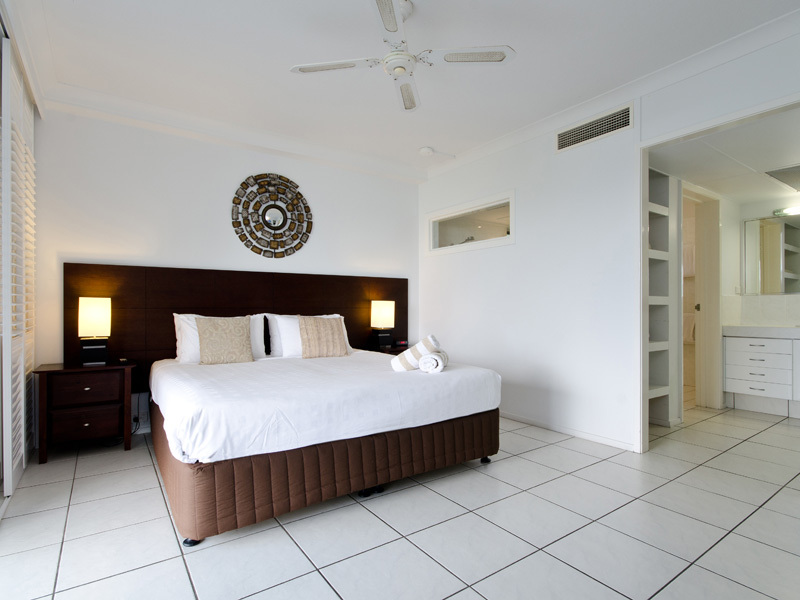 The master bedroom has a king bed, and there are one single bed and a queen bed in the second room and a single sofa bed in the lounge area. 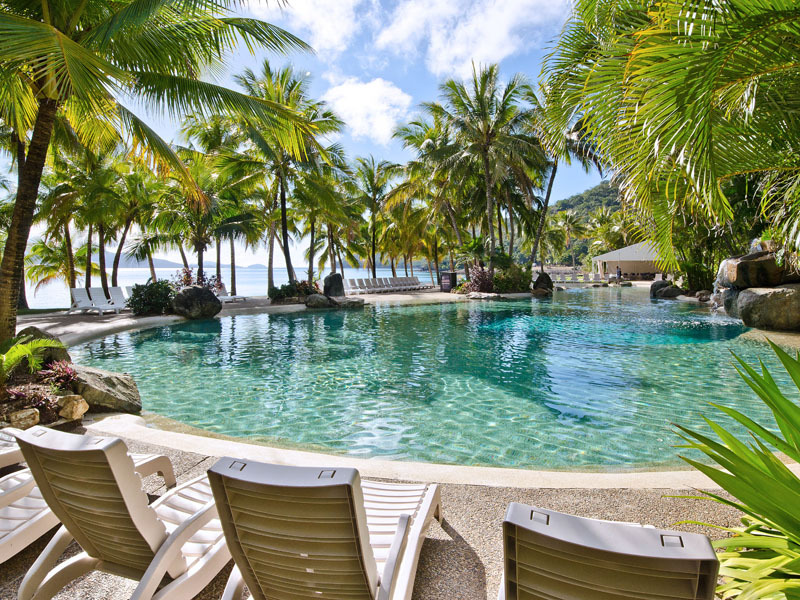 Guests have access to the Lagoon Lodge shared pool. 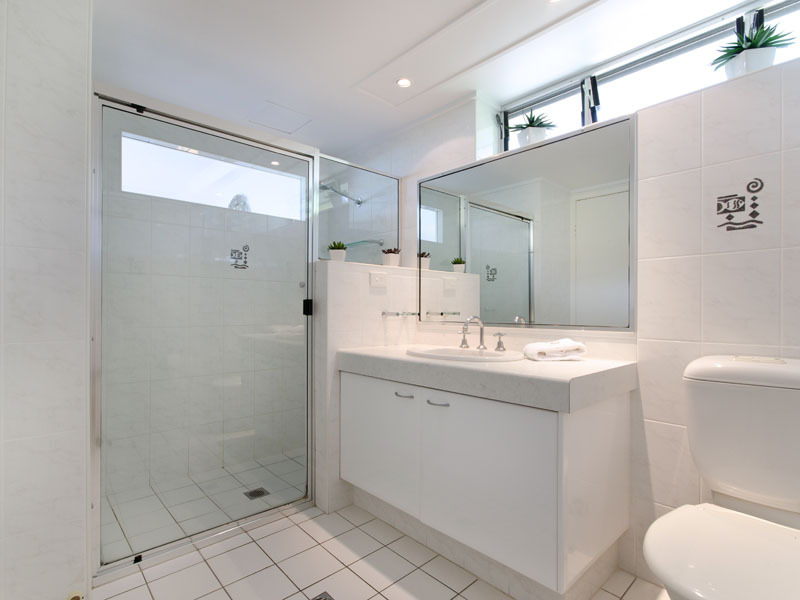 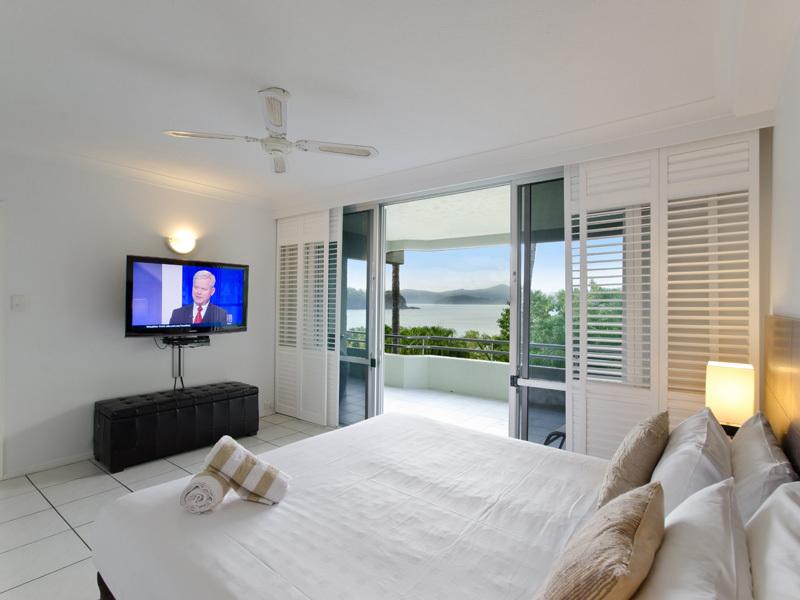 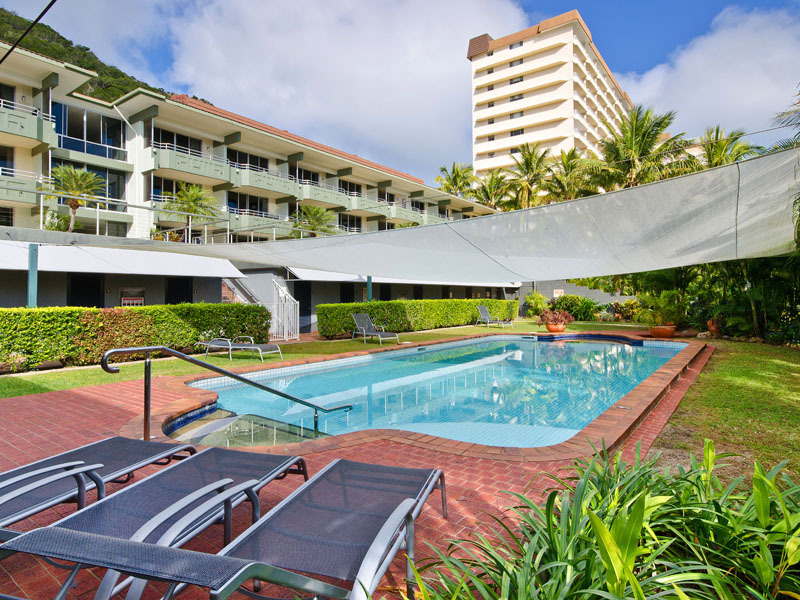 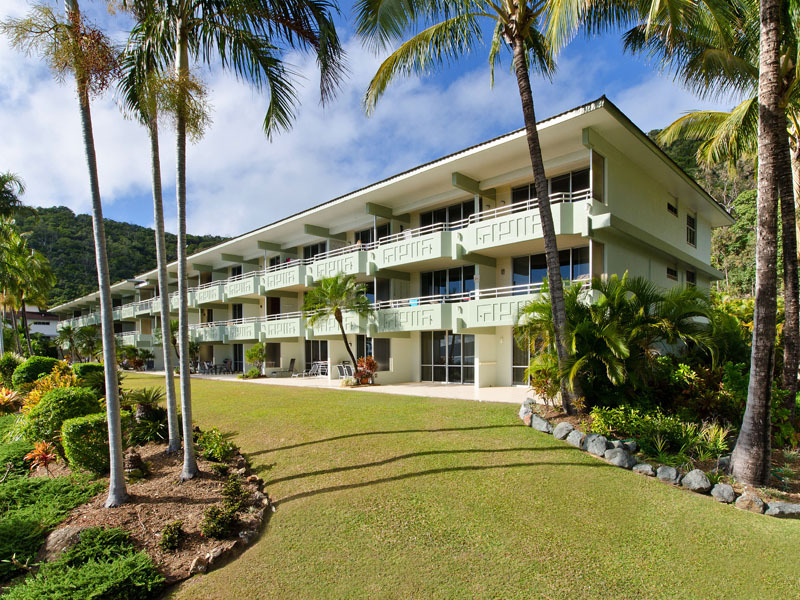 Conveniently located on the resort side of Hamilton Island, this apartment is just a short walk to Catseye Beach, resort pools, restaurants and activities. 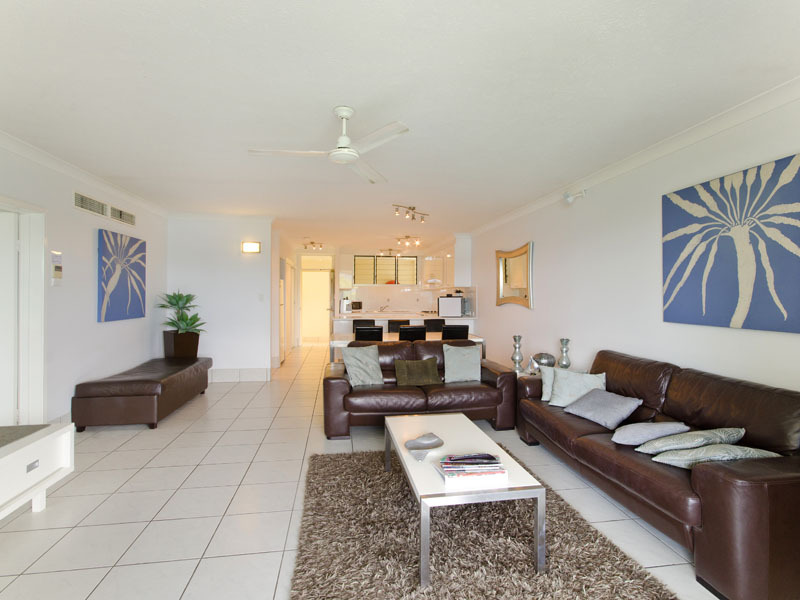 There is a sofa bed in the lounge for extra guests.